Hello Beauties! I hope you're all having a great week :) This week has been pretty crazy at work so it's safe to say that I'm looking forward to a nice chilled weekend! Today I thought I would show you all some of the products I've been loving lately and some of my recent favourites, as it's been a while since I shared my favourites. My first love this month is the Too Faced Beauty Wishes and Sweet Kisses set from their Holiday 2014 collection. I feel slightly bad for showing you this as it was limited edition and is no longer available (sob) but all of the products inside the kit are available separately so not all is lost, plus I've used it so much that I couldn't not include it. I'm sure most of you will know (god knows I've been blabbing on about it enough!) that I've started a new job recently and have had to adapt my makeup routine to fit in with my now rushed and busy mornings. Gone are the days that I had time to spend hours perfecting my makeup, now I have about 20 mins in the morning and that's where this handy little kit comes in. The one thing I love about this (apart from the fab quality of the products) is the convenience of it. The kit contains my favourite bronzer, To Faced Chocolate Soliel, a bronze highlight which has been perfect for those warmer days we've been having in London, the perfect neutral eyeshadow trio for everyday wear, and a lovely little light pink gloss, also perfect for everyday. I know I'll be purchasing this years little kits as soon as they come out, as I've got so much use out of this one...and the packaging is to die for! 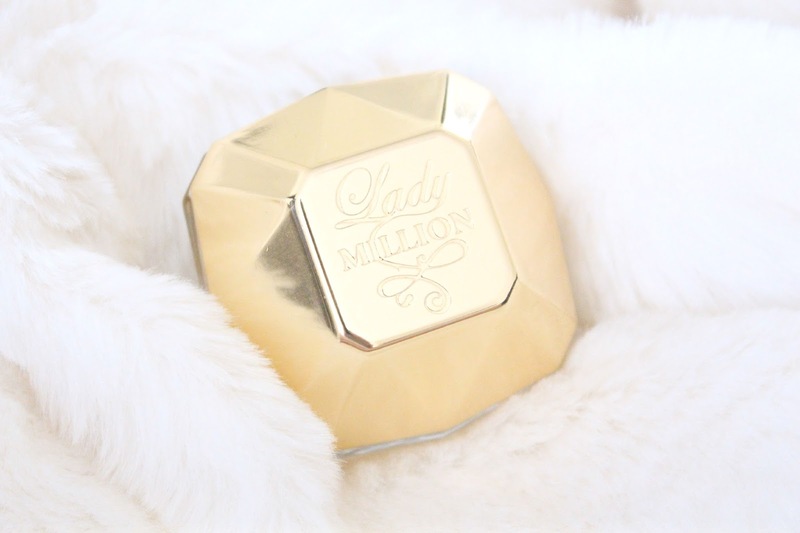 Another product I've been loving this month is Lady Million by Pacco Rabanne. This one was a little bit of a surprise for me, as it's definitely not a fragrance I'd usually go for, but I've been wearing it non stop. I'm rubbish at describing scents but this isn't my usual light and floral scent, it's more warm and cosy. Thats a terrible description but you should definitely go give it a sniff next time you're at the perfume counter. Another product I've been loving this month is the I Love...Raspberry & Blackberry body mist. I have to go through airport security around once a week with work, so I originally bought this as a handbag fragrance as it's cheap and only 100ml, meaning that I can take it through security and if there are any problems and it gets taken off me, it's no big loss. However, I've really grown quite attached to this. I'm a big fan of the raspberry & blackberry fragrance from I Love... and am always using the shower gel, so it's no surprise that I've been spritzing this daily. I Love... also do a wide range of fruity fragrances, and they're great for popping in your bag to freshen up on the go. As I'm sure you're all aware, I'm a big fan of lipgloss (if my blog name wasn't a giveaway enough!) and this month I've really been loving the Clinique Superbalm Moisturising Gloss. This little sample has been sitting in my makeup collection for a while now as I used to hate it due to the tackiness of the formula, but recently I've changed my mind and am quite a fan of the tacky formula. Normally, I hate sticky and tacky glosses, however I've found that this one is actually really moisturising and also quite long lasting, well as long lasting as a gloss can be. My lips have been quite dry this month and this gloss has been great as it doesn't highlight any of the dry patches , so I definitely think I'll be picking up a full size version of this as soon as payday rolls around. 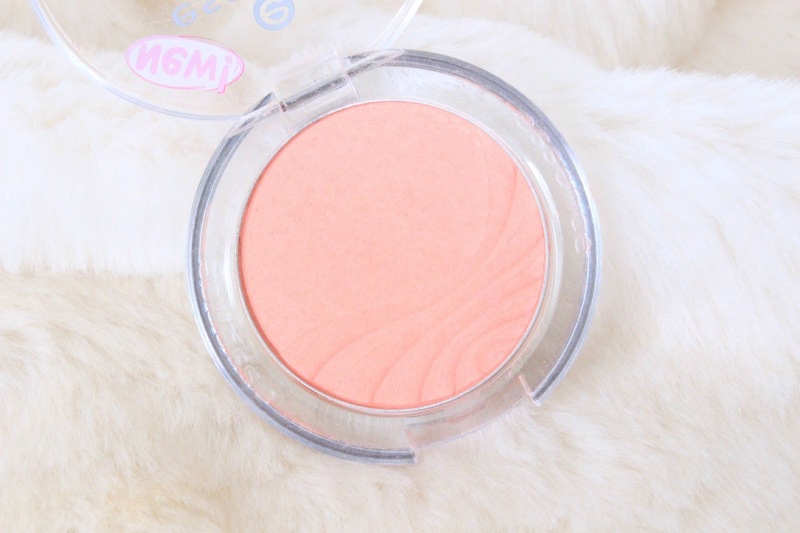 The last product I've been loving recently is this Essence blusher in the shade Summer Dreaming. I'm normally more of a pink blush girl, however this summer I've found myself reaching for peachy shades more often than not, and this one has been perfect. It's seriously cheap, however the quality is up there with some of the higher end brands, and the shade range available is brilliant. 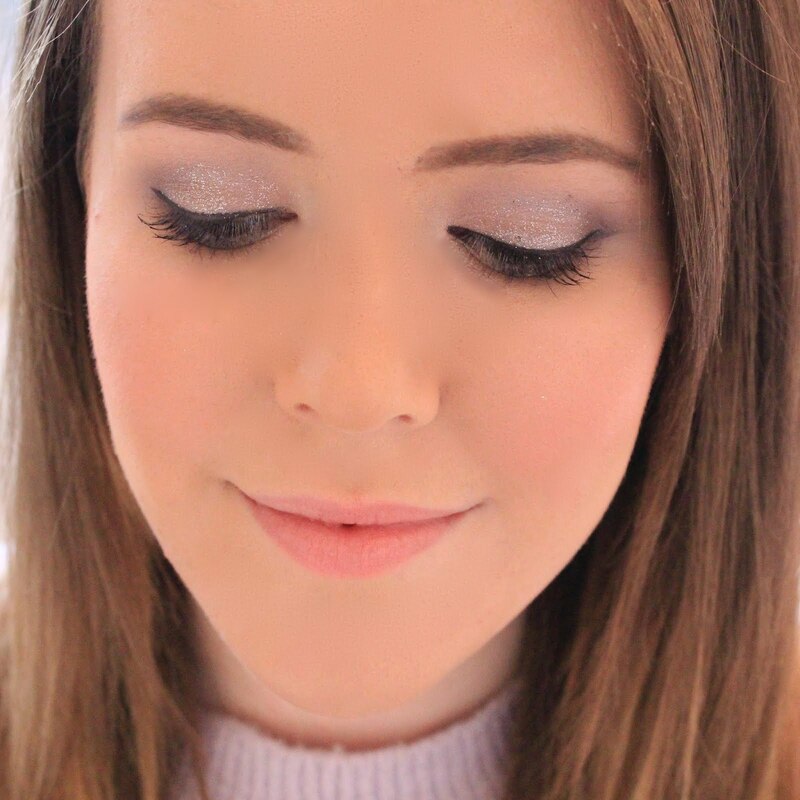 Summer Dreaming is a light peachy colour with a slight shimmer, just enough to brighten up your face but not so much that you look sparkly - the perfect balance. That Too Faced kit looks gorgeous, I'm so jealous that I missed it when it came out, although I won't be making the same mistake twice! Those Essence blushes look so, so lovely! 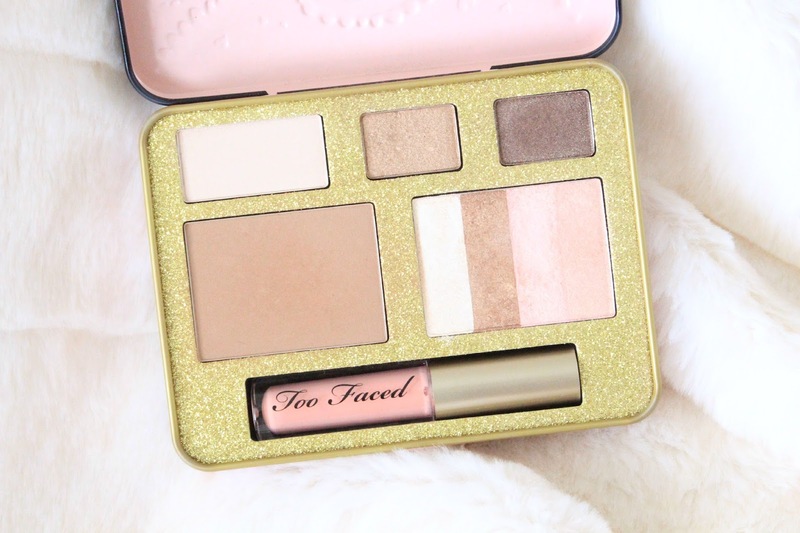 The Too Faced palette looks beautiful! I love all of those subtle champagne/pink colours, wish I picked one up now! I've heard amazing things about the essence blusher, gorgeous shade! Just when I was ready to say I want that Too Faced kit, I read it has been limited edition! It looks great though and very good choices of cosmetics! The Essence blush and the Clinique lipgloss looks beautiful ~ I've recently ran out of my usual body mist and have been on the hunt for a new one so I might give that body mist a go! That lipgloss sounds perfect for day-to-day wear! July Love Me Beauty Box and Discount!